Enhance Telecom is your single point of contact for all your telecom requirements in the North West & Norfolk. We offer advanced telecommunications systems, custom-designing each installation to match your requirements for domestic or business users. At Enhance Telecom, our aim is to give you a reliable, professional, cost-effective service. With over 18 years of experience, we provide a full range of telecom services from new installations to repairs and maintenance. Our engineers are friendly and provide our customers with an impeccable service. We are based in the North West and Norfolk, and cover these areas along with Wirral, Chester and North Wales. If necessary, we can also cover areas further afield. New, upgraded telecommunication systems can help your business function more efficiently. Our installations are completed to the highest standard, with minimal disruption to your business. If you wish to improve the security in your home or business premises, contact Enhance Telecom today. We supply and install high-quality CCTV cameras no matter what your budget may be. Cable installations and satellite televisions are not easy to configure and require a vast knowledge of the latest equipment. Luckily, our experts will always be on hand to help no matter what your requirements are. Enhance Telecom are also available for contracting requirements for your business too! If you would like to discuss your needs with a member of our team, give us a call today and we’ll be happy to help. 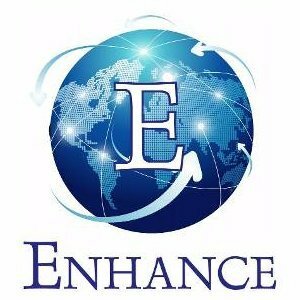 I used Enhance for the first time today and I could not be more pleased with the service that I received. Very professional and polite and he certainly knew what he was doing. I had the main socket move upstairs, ready for a new PC and the downstairs socket became the extension socket. Everything was done to my satisfaction and I would not hesitate to recommend Tony to anyone. We’d Love To Hear From You, Get In Touch Today!